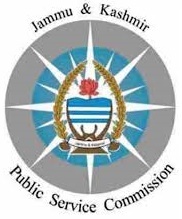 JKPSC Admit Card 2017 for J&K Civil Service (Judicial) Competitive (Main) Exam – 2017 Written Test Call Letter: Jammu and Kashmir Public Service Commission (JKPSC) has released call letter for attending Examination for the post of J&K Civil Service (Judicial) Competitive (Main) Exam – 2017 Written Test Call Letter. Written test will be held on 25-05-2017 to 07-06-2017. On the Official Website www.jkpsc.nic.in. For Download the post J&K Civil Service (Judicial) Competitive (Main) Exam – 2017 Written Test Call Letter Admit Card Candidates can Visit the Official Website or Follow our Article Below. Date of Exam: 25-05-2017 to 07-06-2017 Hrs.